The power of football is the key message that feeds into all the new features coming for PES 2019, which in part is thanks to the commitment to only release on new gen hardware. This allows PES to recreate the real sport like never before, supporting 4K HDR across all platforms, offering Photo realistic visuals and lifelike player movement. The true power of PES is seen in its gameplay, which focuses on the impact of player individuality through specific stats and motions. User will feel the finishing prowess of Luigi's Suarez, the unique dribbling ability of Philippe Coutinho and accurate passing of iconic legend David Beckham. Away from the pitch, licenses and game modes have seen the biggest changes in 4 years, with new leagues added across the world. This adds new found depth to myClub and master League, which both are given a complete overhaul giving fans the depth beyond the awarding winning gameplay. Adding in new legends with dedicated David Beckham, menus that come alive, and launching in August worldwide, users can experience the power of football earlier than ever before! 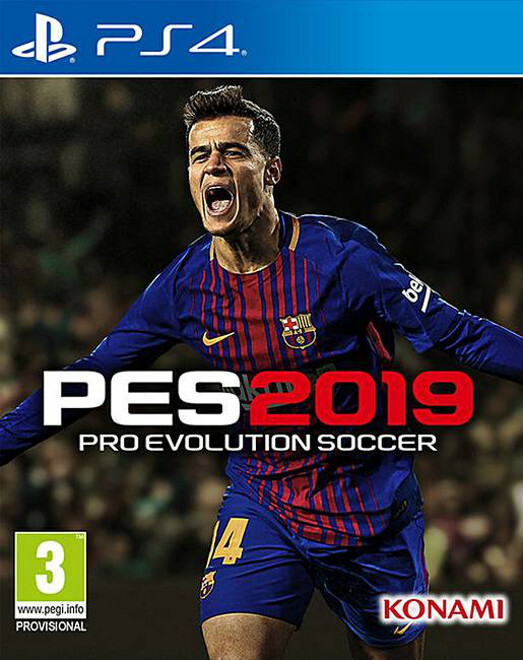 To promote Pro Evolution Soccer 2019 and grow its popularity (top games), use the embed code provided on your homepage, blog, forums and elsewhere you desire. Or try our widget.